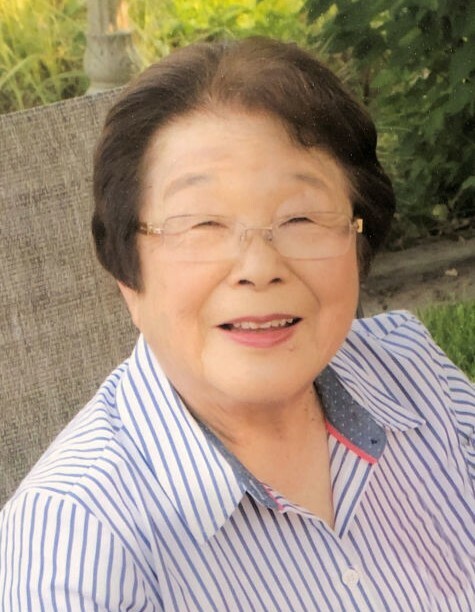 Bountiful – Fumiko Ishii Nishiguchi, 85, passed away April 3, 2019. Fumiko was born February 14, 1934 to Kiyoko Yoneyama and Yomoichi Ishii in East Ely, NV the third of four children. She married Frank O. Nishiguchi Valentine’s Day 1954. She was a loving, caring wife, mother, and grandmother. She will be greatly missed by all. She lived her life emulating service, love, sincerity, and compassion. Fumiko dedicated her life to her family and to serving everyone around her. She was educated in Japan from the age of 5 to 14 surviving the WWII bombings. She won second place in the Junior Division US National “Make it with Wool” competition at the age of 18 and returned the next year and won first place in the Senior Division. She was a faithful member of The Church of Jesus Christ of Latter-day Saints and served as; Compassionate Service Leader, Cub Scout Den Mother, and was a member of the Humanitarian Committee. She worked for Taylor Farm Service as a bookkeeper for 13 years. Her favorite hobbies were cooking, gardening, and sewing. She was known for her fried rice, chow mein, energy bars, and caramel popcorn. She is survived by children Kay (Bryan) Thomas, Peggy Davis, and Ben (Janine) Nishiguchi; eight grandchildren, two great-grandchildren; sisters, Teruko Hase, and Kyomi Hirai. Preceded in death by her parents; husband, Frank; and brother, Kazu (Kazuko) Ishii. Funeral services will be held at the Belmont Wards’ chapel (16925 N 5200 W, Riverside, UT) on Tuesday April 9, 2019 at 11 a.m. Friends and family may call Monday, April 8, 2019 from 6- 8 p.m. at Rogers & Taylor Funeral Home, 111 N 100 E and Tuesday, prior to the funeral service at the church from 9:30-10:30 a.m. In lieu of flowers, Fumi has asked for donations to go to The Church of Jesus Christ of Latter-day Saints Humanitarian Aid. The family would like to thank Quality Home Care for the wonderful hospice care they provided and the Belmont Wards for their loving compassionate service.